The Violet table is one of our most modern designs and will give your garden a chic and contemporary update. Violet is our biggest extending table. With an elegant, glass table top she will impress at any event and will leave your friends envious. The Violet will look great on any larger patio or decking area, making it ideal for hosting big barbeques and garden parties when the occasion requires. 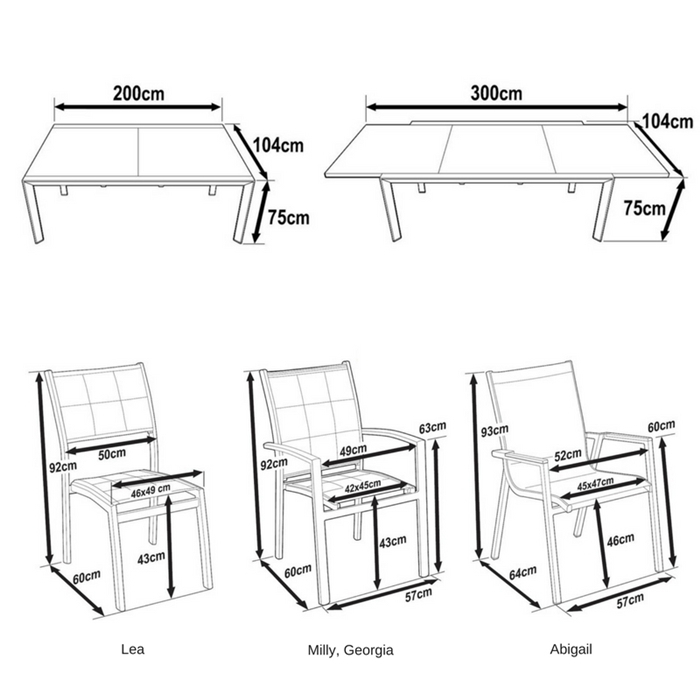 To match the table, choose 10 stacking chairs from the options available to customise it how you want. The chairs have aluminium frames that are light and strong and are fitted with an outdoor mesh fabric that is sturdy and comfortable. Please make sure the safety locks (which are on the underside of the table top) are unlocked before extending your table. Guarantee yourself the best price for the Violet table & 10 chair set in Black today. Pre-order your set now and we will guarantee you the lowest price when you place a pre-order for Spring 2019. We will only be making 15 of our Violet 10 seater rectangular table sets for the 2019 season, so time is of the absolute essence. Place your pre-order today, guarantee yourself your table set and pay nothing at all until a week or so before dispatch in 2019. Simply add the set to your basket and choose 'Bank Transfer' at checkout. Our beautiful Violet table & 10 chair set in Black will radiate elegant modernity into any environment, indoors or out. If you're looking to go a shade or two brighter, check out Violet in smooth Grey, cool White & Grey or lavish White & Champagne. You missed it - Unfortunately we no longer sell this product, please check out our best available alternatives: Violet in Grey or the Violet in White & Grey. Very satisfied with the delivery service. Very satisfied with the delivery service. Items were well packed and protected. Very satisfied with the overall service, contact with the sales persons and the quality of the products. Would fully recommend this company. 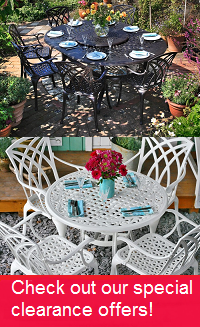 Very nice garden furniture and a very good service.